Substratum is the theme engine replaced by the famous “Layers” theme engine. Unlike Layers, Substratum doesn’t overlap existing themes. Instead, it’s better and fixes the underlying issues found in the Layers theme engine. Users of Substratum have been facing an issue lately. After applying a new theme successfully, their devices seem to be stuck in a bootloop. I faced a similar situation few days ago. Due to being outside, I was unable to get access to a computer. I got really frustrated because I couldn’t access my phone. I certainly couldn’t wipe my device and move on since I had important files in it. Step 1. Turn off your device & boot into TWRP recovery. Step 2. Go to Advanced and open File manager. Step 3. 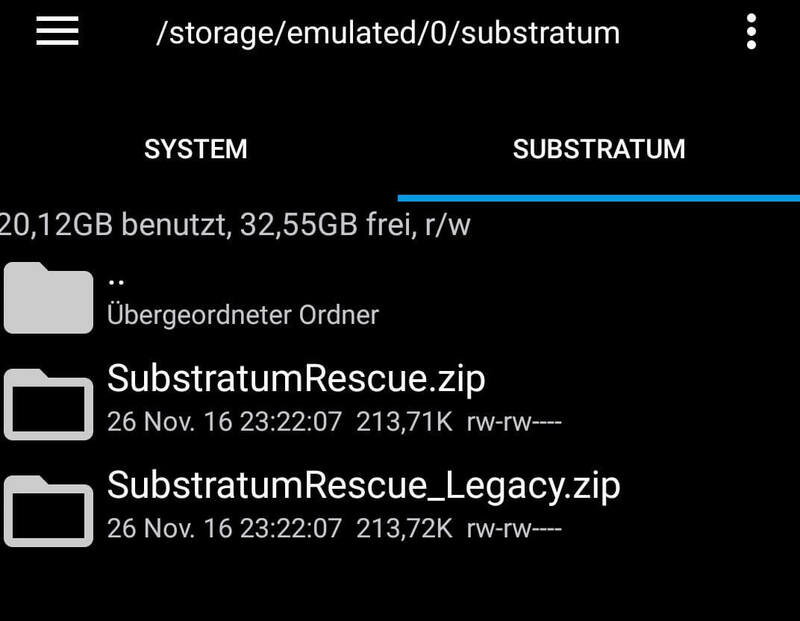 In the file manager, navigate to the main storage of your device and locate a folder named “Substratum”. Open it. Step 4. Inside “Substratum” folder, there are two more folders. One is a “temp” folder that is used when building themes and the other contains two zip files for uninstalling substratum. You may find only the zip files in the substratum folder instead of two folders. Step 5. Find the “SubstratumRescue.zip” & note the location. Step 6. Now go to the Install zip in recovery and install the zip file “SubstratumRescue.zip”. Step 7. After installing just reboot your device and now you have completely removed substratum overlays which caused conflicts within the OS. This is the best method to recover your device from Substratum bootloop. If in case, this method doesn’t work, you can try removing the App through TWRP File manager by navigating to system>app>Long press the overlay theme app & click on delete.